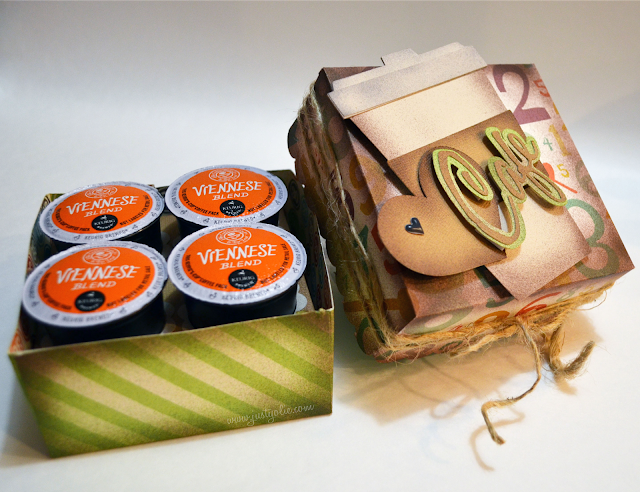 I used the coffee cup from the Cafe Coffee Girls to decorated the gift box that holds four KCups. It's the perfect hostess gift. I gathered up some fun older paper from my stash and used Sharpies; brown, green and not pictured grey, to alter my project. When I eBrushed the bottom of the box, I wanted to mute the green color, so I first used the green Sharpie followed by the brown along the edges. For the top, I only used the brown Sharpie to eBrush the edges and then sprayed the center and sides on the low setting. keeping the wand approximately 4 inches away from the paper to slightly mute the cream color. 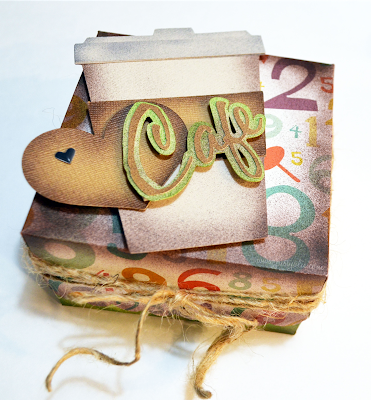 I used pop dots to add dimension and also popped up the "cafe" and added jute for a bit organic feel. Here's a closer look of the hostess coffee gift set. 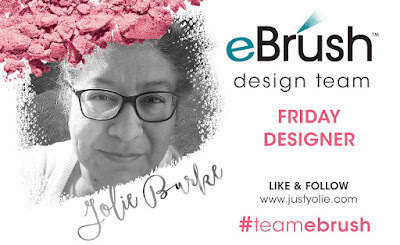 I hope my project inspires to alter the look of your projects with the help of the eBrush. 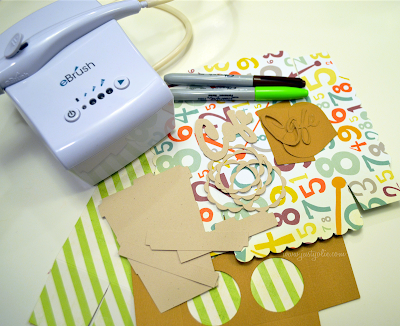 Bring out the stash of paper and start altering, give it a different vibe. Thank you for stopping by today and enjoy your weekend. Great E-Brushing!! and the paper kind of says to me with all the numbers on it "Anytime is a great time for coffee!" TFS!! Totally agree! Thanks for commenting and good luck! Awesome project. Love that mug from KaDoodle Bug Designs and a new idea on how to use it. Glad to read I have inspired you. Thanks for commenting and good luck. Love this coffee box!! That coffee cup is so darn cute! Thank you Dawn for commenting and good luck! Welcome Minnie to this amazing Craft World! Looking forward in seeing your creations. Thanks for commenting and good luck. This was a gift for my sister and she loved it. I'm sure your friends would love to receive it too, especially with the holidays approaching. Thanks for commenting and good luck. Such a wonderful gift!! Love coffee! Awesome job! Thank you Millie for commenting and good luck! 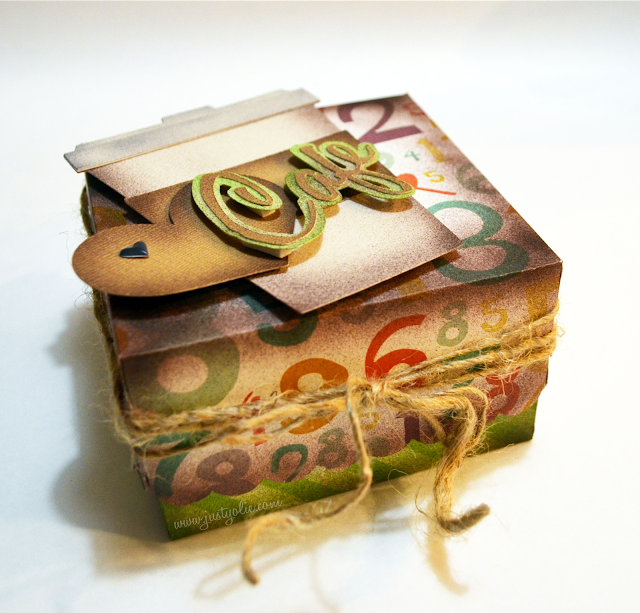 Such a great gift box! Love the rustic feel to it, TFS Yolie!